“Infertility is one thing I am happy to leave in the past. As a teenager, I was told I would find it hard to have children. 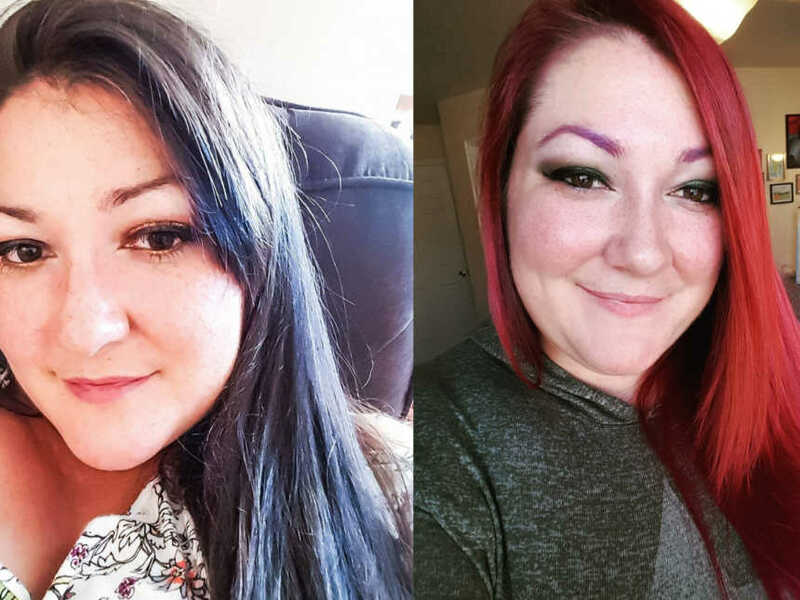 I had PCOS, endometriosis and I barely ovulated. When I was told this, it wasn’t nice to hear, but I was young and not at that stage in my life where I wanted to have children yet, so it didn’t really affect me. Fast forward a few years, I was going about life normally when I started to feel a wee bit off. I sat on it for a few weeks before I went to see my doctor. I explained all my symptoms and he said it sounded like I was pregnant. I laughed and explained I hadn’t been trying to have a baby. I had all these problems working against me, so it was impossible. Imagine my surprise when the pregnancy test he made me take came back positive. I won’t lie, I wasn’t happy or excited at first. I was in utter shock. We hadn’t been trying for a baby. I wasn’t sure if I was ready, and could we afford it? So many questions and worries were racing around my head, it was very overwhelming. As the day went on, I warmed to the idea there was a baby growing inside of me, but it took me until that night to pluck up the courage to tell Josh. At first, he was shocked too. He wasn’t expecting it (neither was I!) but by the time we went to that bed that night, we had begun to plan our future including one impending baby. The pregnancy wasn’t too bad, the normal aches and pains. I got to 41+5 weeks before I went into spontaneous labor, the night before my induction date. Labor didn’t go as planned and I ended up having an emergency c-section. At 7:15 a.m. January 23, 2015, we welcomed Brooklyn George MacDonald. Weighing 9.11 pounds and measuring 60cms long, surprising everyone by being born perfectly healthy after it was assumed he would be rushed off to NICU because his heart had been stopping while I was in labor. Like any new parent experiences, that first week was a bit of a blur. We had this amazing and beautiful gift, but suffering from sleep deprivation while trying to work out the whole parenting thing was challenging. When he was 8 days old I suddenly became violently ill. I was vomiting, had a temperature of 105 degrees. I became delirious. 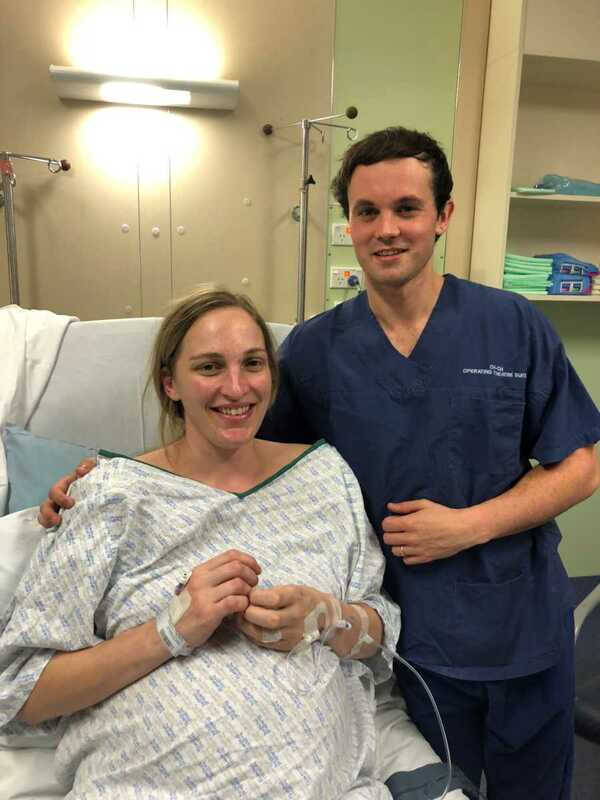 My midwife believed I had mastitis and got me some antibiotics but as the day went on I became more and more ill. My husband took me to the hospital where he was told that my body was shutting down and I wouldn’t make it through the night. I was suffering from toxic shock syndrome, a result of placenta being left behind after the c-section. I was under the care of ICU and it was days before I saw Brooklyn again. From being on deaths door, i pulled through, but I can’t bring myself to think about what could have happened, and what was expected to happen. Brooklyn was a dream baby and we loved him so much that it was almost immediately (call us crazy) that we wanted to start to try and have more children. As the first year passed, it didn’t bother me too much that I wasn’t pregnant yet ,as I was so busy running around after a toddler. As the second year ticked on, I started to ask myself why wasn’t this happening and what were we doing wrong. It didn’t help there were people all around us getting pregnant either. Josh and I were struggling with where to go and what to do in regards to future plans, should we keep renovating our house, do we stop and save money just in case we get pregnant, or do I go back to work? As that second year went on I tried to not let it get the best of me. As Brooklyn’s second birthday approached I said to Josh that if I am not pregnant by the time he turns two, I am going back to work. As much as I loved being a stay at home mom, I realized Brooklyn was at an age where he didn’t want to be at home with me all the time, he wanted to be at daycare interacting with other children. So as we celebrated Brooklyn’s birthday, I put aside one day to look for jobs. That same morning I woke up and just had this feeling, I knew I was pregnant. I didn’t have any symptoms but I just knew. Josh thought I was crazy but I went and got some tests and sure enough, that positive sign I had been waiting for took only seconds to show. There were many, many tears of joy and for the next few weeks, we began to make a plan for the future that would include Brooklyn and a baby. It wasn’t long however that joy turned into devastation as I went through a miscarriage. Throughout my life, I have had some very cruel and unfair things happen, but this was the worst, by far. I couldn’t believe it was happening. 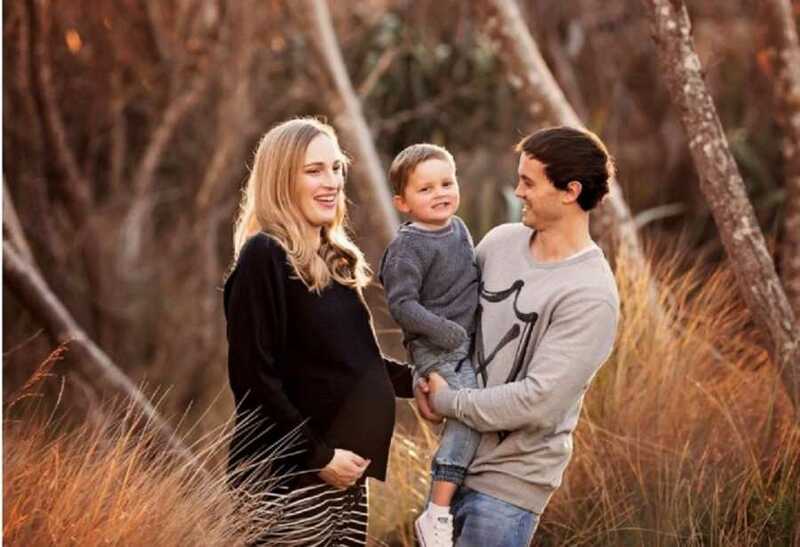 I had no problems with my first pregnancy, so why was this happening now? The miscarriage put me in a very dark place and my relationship with Josh suffered at the hands of grief. As the third year went by, I wasn’t happy anymore. I went back to work and let life just go by. Brooklyn was the only thing that helped us cope. I will always be grateful for him for always bringing happiness and smiles around and into our life. One day someone asked me why I hadn’t sought help from a specialist, my reasoning being I had been pregnant by myself twice, what more could they do to help as I did have the ability. Josh and I talked about it and decided why not go and see what they could do to help. After meeting with a private specialist, he agreed that everything was not working in my favor, PCOS, endometriosis, major scarring and problems as a result of the toxic shock syndrome. But the main problem was that I didn’t ovulate – a pivotal necessity to getting pregnant. I was booked in for a surgery to try and fix some of the damage done, but in the meantime I was put on to Clomiphene – medication to help a person ovulate. I wasn’t sure about the medication. It was all very technical, there were specific days to take the pills, and there were also specific days to do blood tests and have scans. That first month of trying, I think we tried too hard but for some reason I was so sure we would get pregnant, and when I found out I wasn’t, it took me awhile to come to terms with it. Therefore, the next month, I didn’t even try. I still took the medication, but I didn’t keep track of my cycle or do the tests. I was about ready to give up. We had only just sought professional help but I was already defeated. Three years of trying to have another baby in the scheme of things isn’t a long time, especially after what some people go through, but I couldn’t go on anymore. Our whole lives revolved around one purpose of having another baby, but we needed to move on as it wasn’t healthy, mostly for Brooklyn. We were trapped in a little bubble of hopelessness, but I was at peace that it was time to end that journey. I was ok not living for every month anymore. 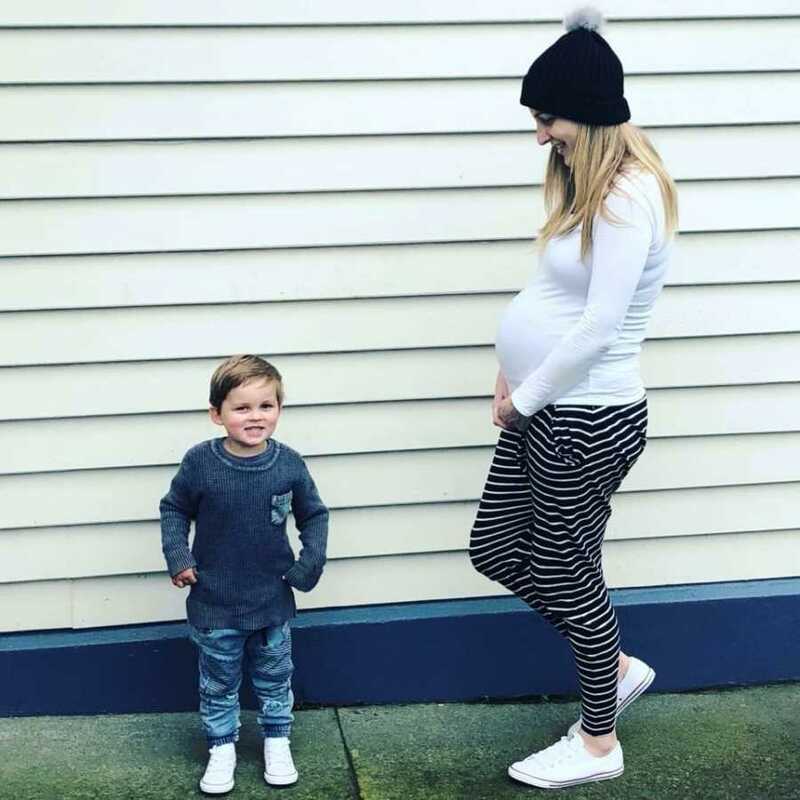 Days before the corrective surgery was booked in, I had a call about some abnormal blood results I received (another issue) and right after that call – I knew I had to take a pregnancy test. When those double lines appeared on the test, I couldn’t believe it. I was pregnant. I was in absolute disbelief. I wanted to be happy but because of my previous miscarriage, I didn’t want to get too far ahead of myself. As soon as Josh got home from work I had the test waiting there for him. He was happy, but like me, it was hard to put a smile on our face. It wasn’t long again before the familiar signs of a miscarriage started to show. My specialist organized a scan and to our relief, there was one healthy baby with a heartbeat. I was treated for a threatened miscarriage and the next few weeks we were on edge. All we wanted was a baby, we just had to make it through the first trimester to increase our chances. 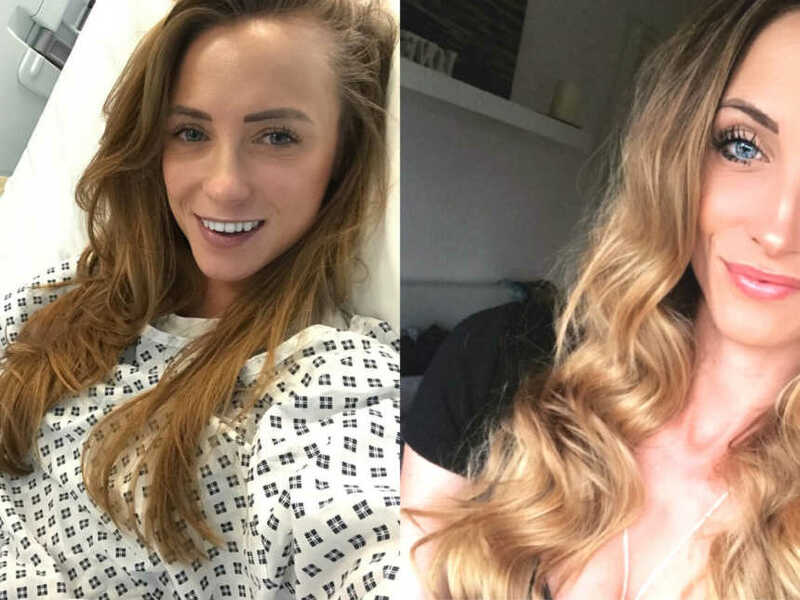 Like Brooklyn’s pregnancy, I again ended up in hospital with hyperemesis gravidarum – something I wouldn’t wish upon anyone. Josh and I were already terrified about losing this baby, but the sickness took away all the happiness of being pregnant again. For the next three weeks, I was in and out of the hospital. One day we were waiting around for the specialist to come to see me, so the house doctor decided to give me a scan to pass time. As soon as the scan started, the doctor gasped, ‘Oh.’ I couldn’t bring myself to look at the screen as I thought the baby wasn’t there anymore. But when I did, there were two babies – twins! I couldn’t believe it. My natural reaction was yell, ‘Oh my goodness, oh my goodness,’ over and over again. How did we go from one baby to two?! We were sent for a more specialized scan as not only were there two babies, there was also a third sac but no baby, so we had to check it was nothing sinister. As the third scan began, there they were – triplets! We had only just found out we were having twins, but now we were having triplets! How does this even happen. Pure shock but excitement. We had wanted this for so long, we were lucky enough to get three. The scan went on, Josh and I discussed our life with triplets. We would need a bigger house, a bigger car, would they be girls or boys? So many questions and emotions. At the end of the scan I asked the lady if all three were healthy with heartbeats. She replied, ‘No, all FOUR are healthy with heartbeats.’ ‘Holy F***ing S**t!,’ I yelled over and over. Four babies?! Is that even possible. No one has four babies. I wasn’t even doing IVF. 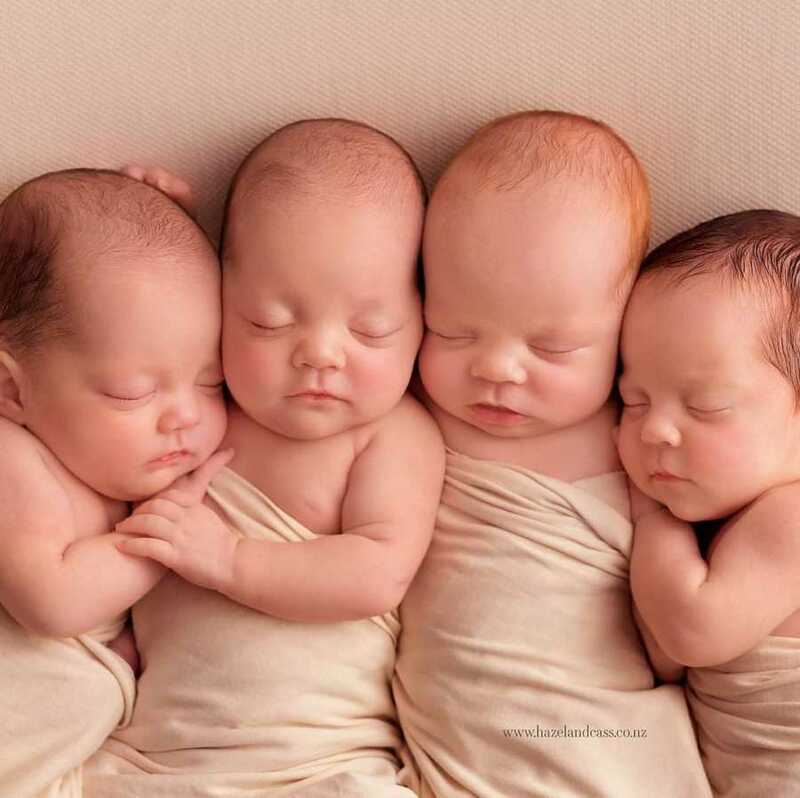 There must be a mistake, I can’t be having four babies! But as she showed me and pointed them out, there they all were – quadruplets. As the next few weeks passed, the doctors told us not to get excited. 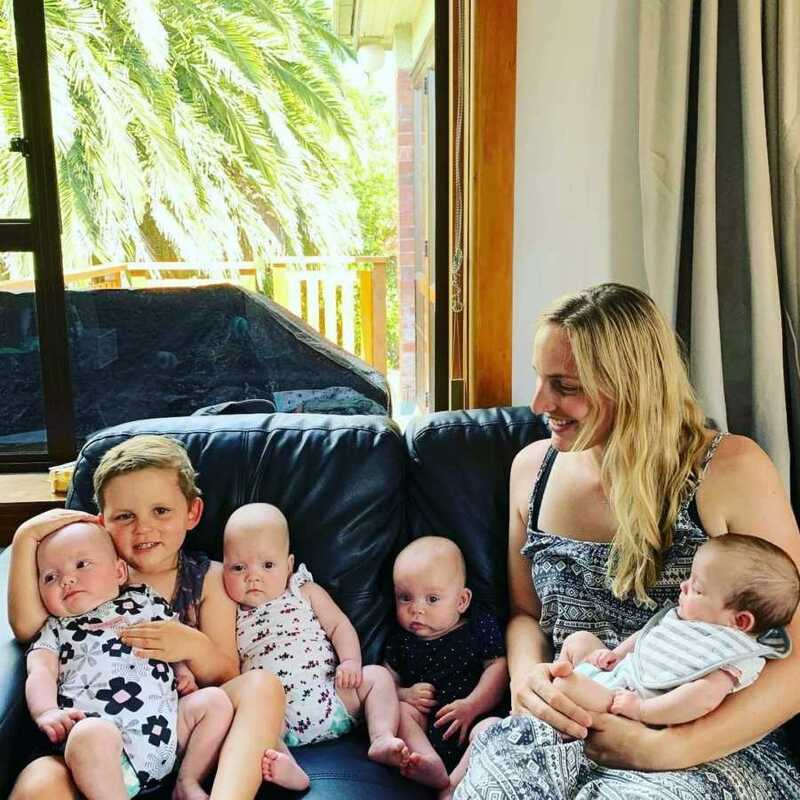 Not only had I not had my corrective surgery to help keep a pregnancy yet, but having four babies only significantly lowered my chances of bringing a baby to term. We were almost at that ‘safe’ point but now we had taken a giant leap backwards. It all seems surreal to look back on. We had gone from one baby, to two, to three, to four. We were on edge, but how were we going to plan for this? 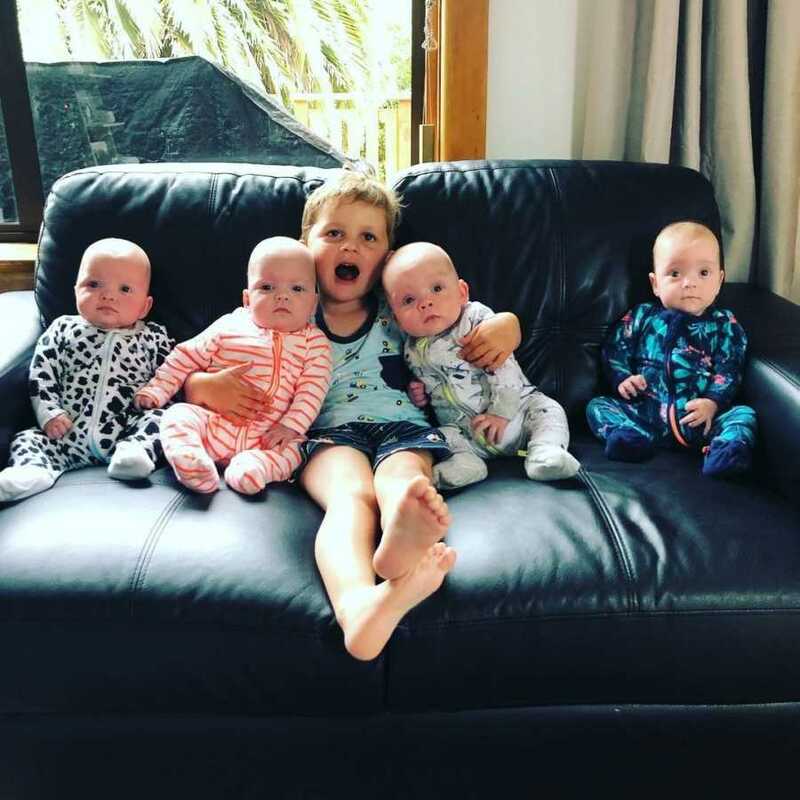 The last quadruplets in New Zealand were born 20 years ago, so it’s not a common thing, and there were not a lot of people to talk to. We just put on a brave face and waited for the next appointment, but would I even make it until then? We went for our next scan, and four perfectly healthy babies, all growing fine and doing all the right things. We had one set of identical twins and two singletons. Josh and I were starting to come to terms this was actually happening and tried to envision our lives with four new arrivals. I was now twelve weeks and under the care of Christchurch, two hours away from our hometown. We saw a specialist, who then completely blindsided us by heavily encouraging us to reduce the pregnancy to the two singletons. We left that appointment feeling like we didn’t have a choice. We were given two weeks to make our decision and I would be lying if we said we didn’t consider it. We understood why the doctors encouraged it, in my case I only had the choice of reducing it to one set of twins or terminating the whole pregnancy. The identical twins didn’t sit well and were predicted to complicate the pregnancy on top of having four babies in there. There were risks of disabilities, serious illnesses, death, those weeks were torture. 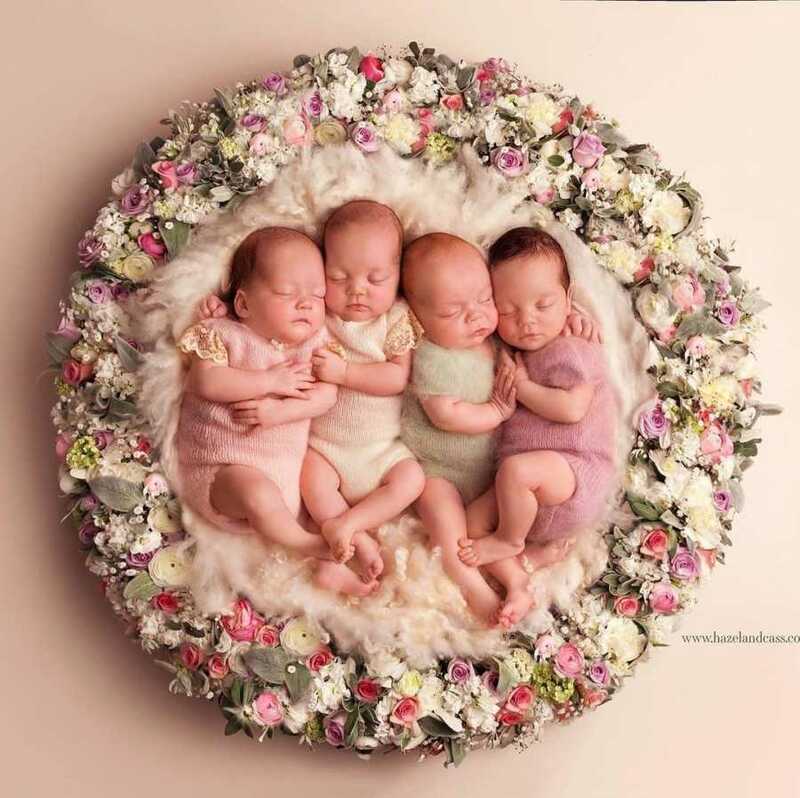 At the end of the day, we wanted a healthy baby, our biggest question was, would we be doing the right thing if we carried on with the quadruplet pregnancy? We ultimately decided we were given this gift, and all four babies were healthy at this point so why not. And that was it, we moved on and prepared our lives to change forever. I got to 25 weeks pregnant, was very big, and my body was suffering. 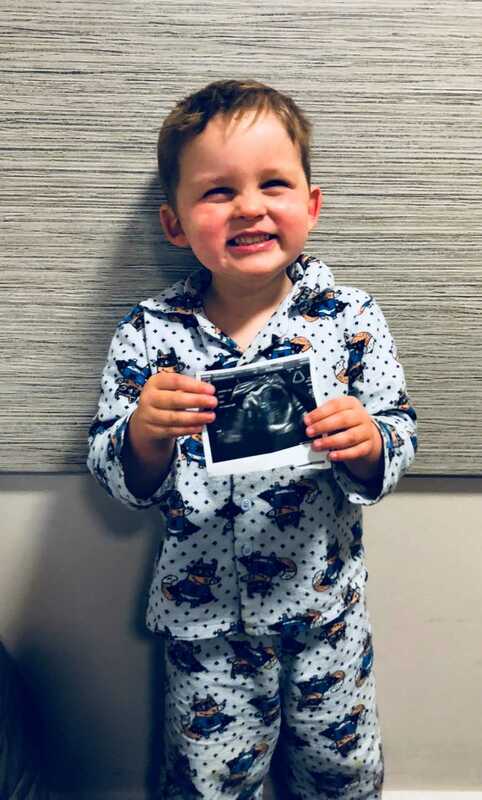 In anticipation for the babies being born, Josh, Brooklyn and I moved to the Ronald McDonald House by Christchurch Hospital where we would wait it out for the babies to arrive, trying to stay positive this would all work out. 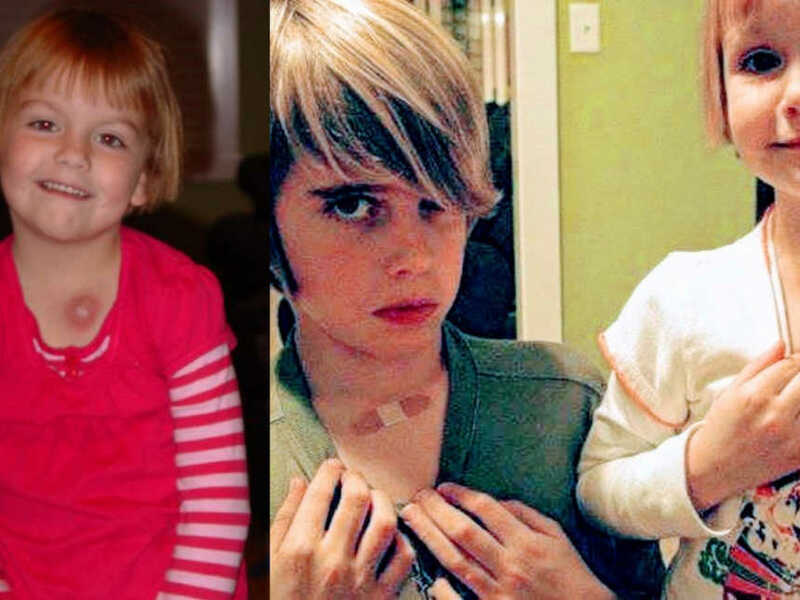 For a quadruplet pregnancy, I didn’t really have any complications. We knew the babies would be born prematurely, but up until that point, the babies grew and grew and I never went on to bed rest. Our goal was 28 weeks, but if I got to 32 weeks, the plan was to have an elective c-section. 28.3 weeks and I 100% believe I was going to make it to 32 weeks, but that night when I went to bed I just couldn’t get comfortable. It took me awhile to realize this uncomfortable feeling was happening every minute lasting for 30 seconds. I looked at my stomach and every time I contracted, I could see exactly where each baby sat in my stomach. I was in denial that I was in labor as I was in absolutely no pain, but gave my midwife a ring. It was 12 a.m and I expected to go to the hospital for a check and be back to my bed within the hour. Oh, how I was wrong. As soon as I got to the hospital, they established I was in full blown labor and the babies would be here within the hour. I immediately burst into tears and was shaking. I was terrified. Would the babies be born alive, would they be ok, would they have any issues? It’s frightening and upsetting to think back about it. Because there were 40+ people involved with the birth, it was split over two operating rooms. Two babies would stay with me, while two would be taken to the room next door and Josh would go in between. The c-section was terrible as my blood pressure dropped very low and of all times to do so, my body decided that vomiting while I was numb from the shoulders down with all my stomach muscles cut, would be a good time. 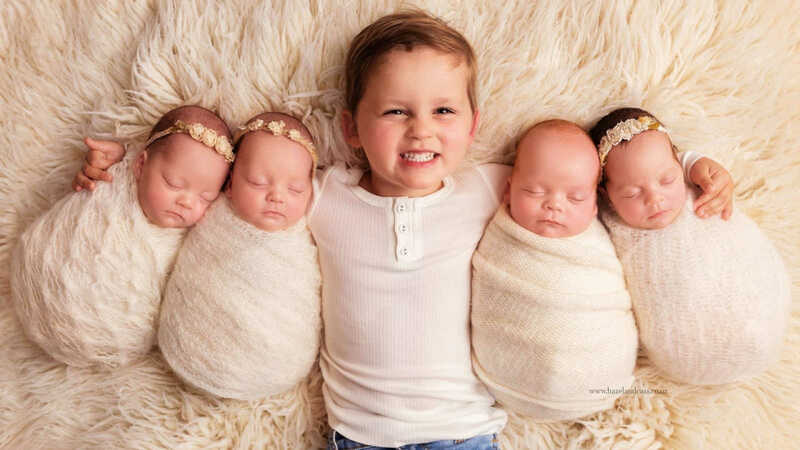 Between 2:28 a.m. and 2:31 a.m. on the August 15, 2018, Quinn Ruby MacDonald, Indie Grace MacDonald, Hudson Joseph MacDonald and Molly Ella MacDonald were born ranging from 2.4 to 2.8 pounds. Although the babies were born with no immediate problems except for normal issues being born so early, they each had a long road ahead of them. Those first few weeks were a blur. 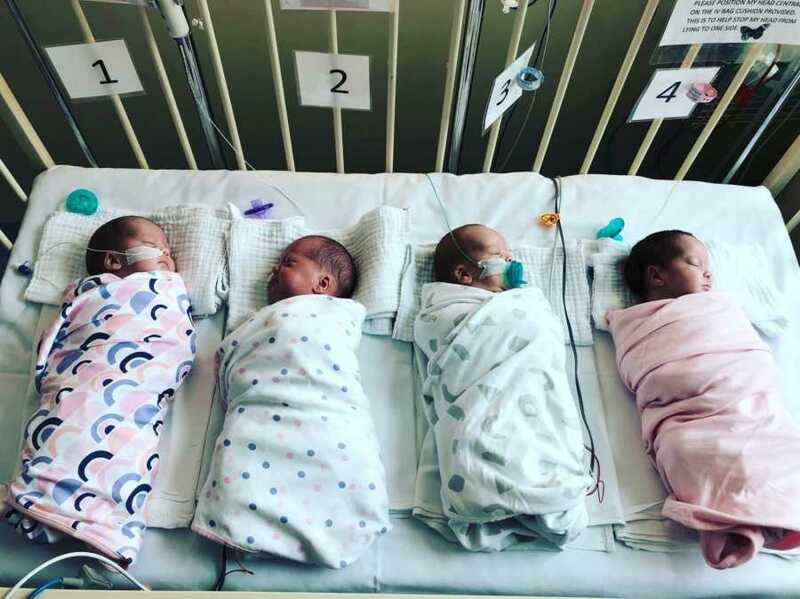 We saw our babies turn blue and stop breathing from time to time, all while trying to deal and overcome all the emotions of NICU life, quadrupled. 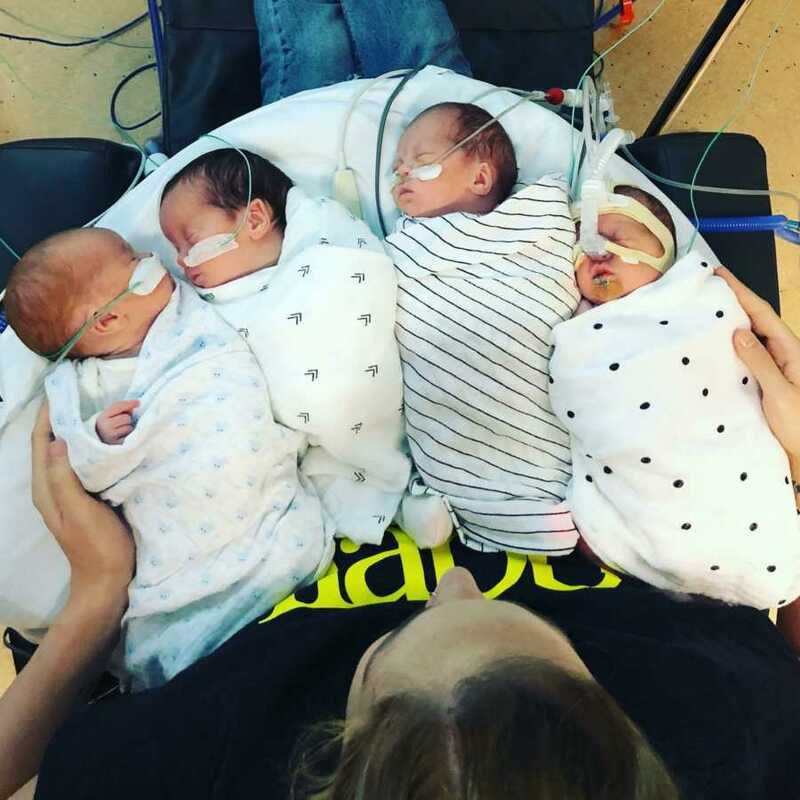 We understood how lucky we were though, there were a few hiccups and all babies required breathing, feeding and growing cares, but for the most part their amazing birth weights helped them immensely. Juggling our time between all babies and Brooklyn proved difficult but we were so eager to move forward and bring our babies home. For the next 10 weeks, I walked countless steps between our temporary home and NICU, each day would bring something different and each night I would leave exhausted. 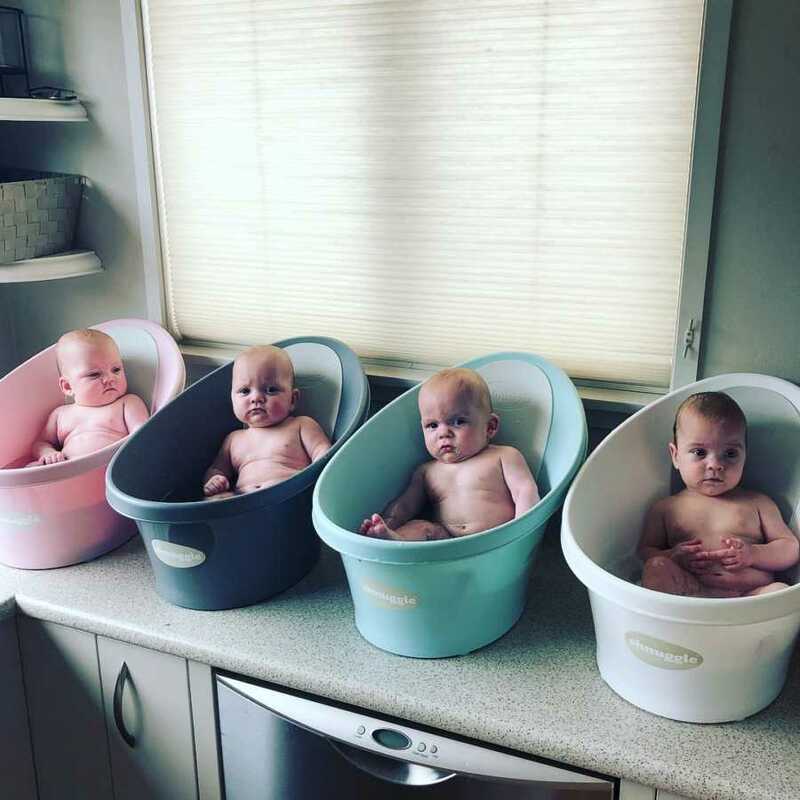 As the time went by, the quads grew stronger and one by one they learned to breathe by themselves and were weaned of medication, with of course a few steps forwards and a couple of steps backwards at times. We had gone from four babies, covered in wires, tubes, masks, barely visible in their own incubators to four growing babies, sharing a cot and wearing their own clothes. It eventually came time for the babies to graduate NICU and be transferred back to our local hospital where they would learn to feed. Although our end goal was to leave NICU, it was hard as we were comfortable and that is all we knew with our babies. It was also scary at the thought we would soon welcome the quads home. We desperately wanted them home with us, but anxiety was setting in with the thought of how chaotic our lives were to become and how much sleep we were to lose. Indie, Quinn and Hudson took off with feeding, but our once biggest and strongest baby Molly had a hard time and fell behind. Monitors became non-existent and medication was all but gone, we were just waiting for Molly to feed enough to be discharged home. Meanwhile Hudson needed surgery to repair a hernia in his groin. Eventually our wee Molly grew strong enough to come home and we were delighted. Anxiety turned into happiness as we were finally a family of seven living under one roof. Sure, it was hard work, but we wouldn’t have it any other way. 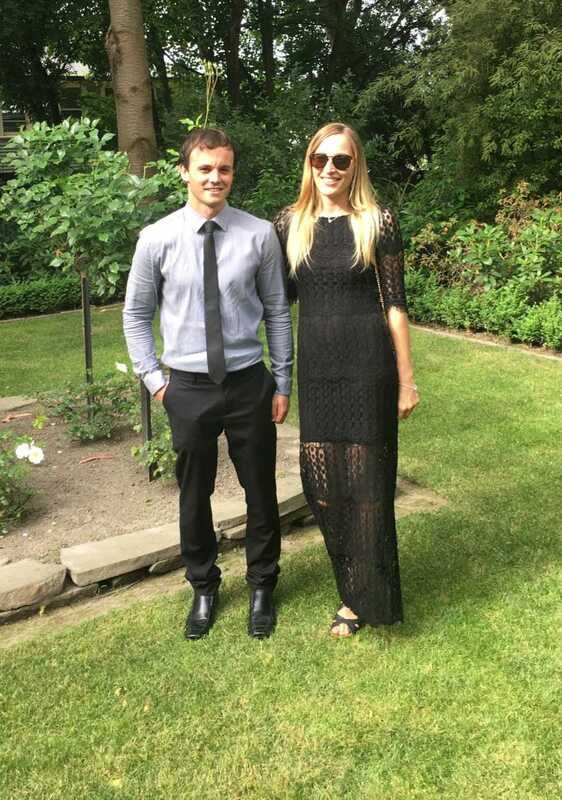 Happiness soon turned into a life threatening situation where Molly developed a pneumothorax and was helicopter back to ICU in Christchurch. 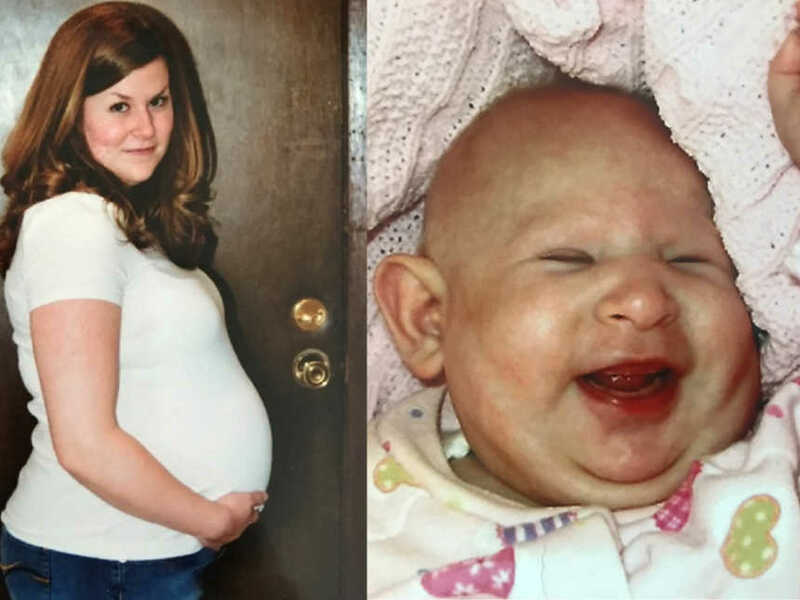 We were told the doctors had saved her life as she came so close to death. Words cannot describe being in this position after everything we had already been through, we had come so far just to come so close to losing one of our children only a week after being discharged home from hospital. Seeing Molly so sick was devastating, but she recovered almost as fast as she went down and was home smiling a week after she went back into hospital. 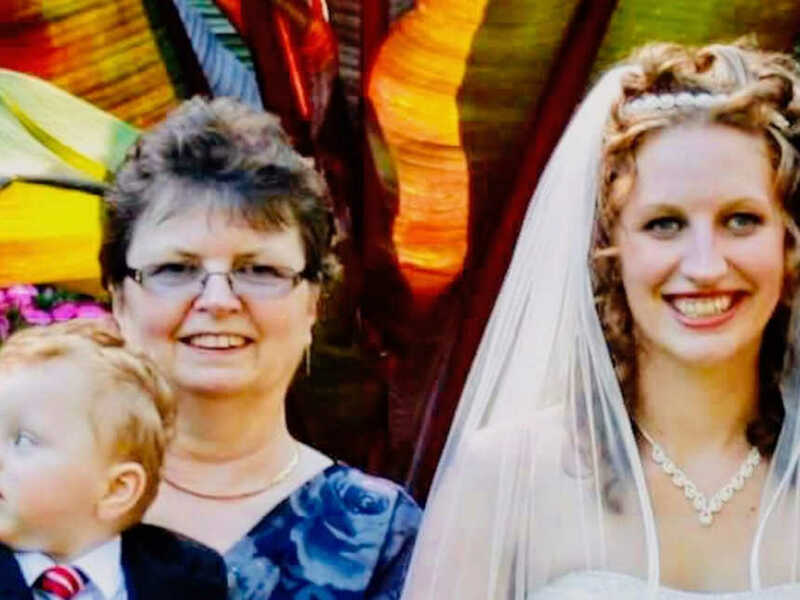 Since she came home, there have been many sleepless nights, tears and stressful moments, yet there has also been many smiles, laughs and rewarding times. We have watched our eldest son Brooklyn grow into his role of a big brother so amazingly and we couldn’t be any more proud of him. Although it took time getting used to having five children, we wouldn’t have it anyway other way. It is busy, non-stop, chaos but we are apart of something so special and I will never take it for granted. 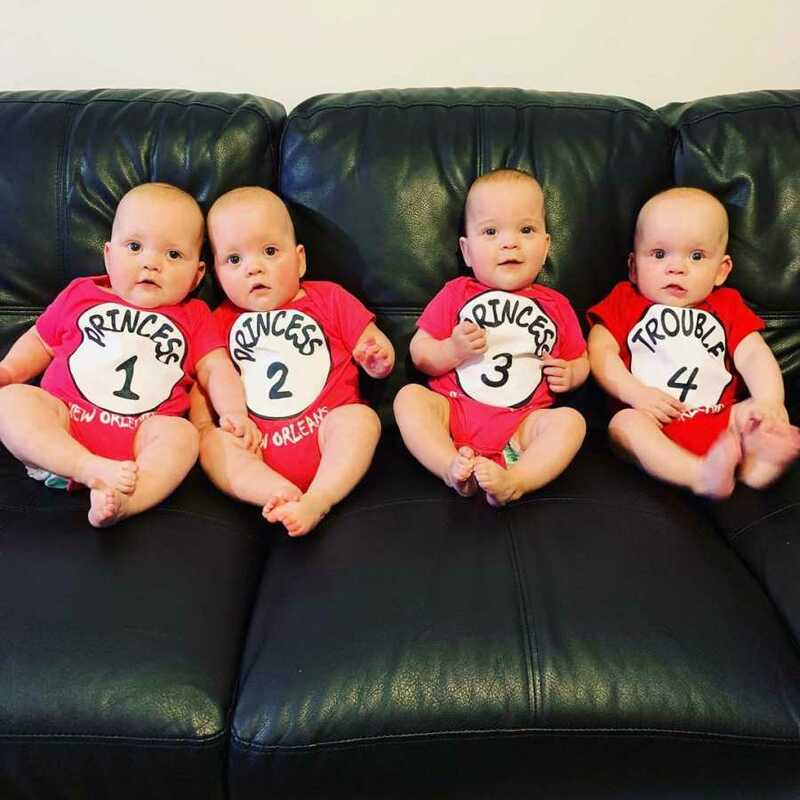 The quadruplets are now one week shy of eight months old – five months old corrected, and when I look back, I can’t believe the journey we have taken to get to where we are now. I had no hope left I would have more children, but instead I got four. We still have a long road ahead of us, but for now, I am quite content watching them grow and seeing them reach their milestones. 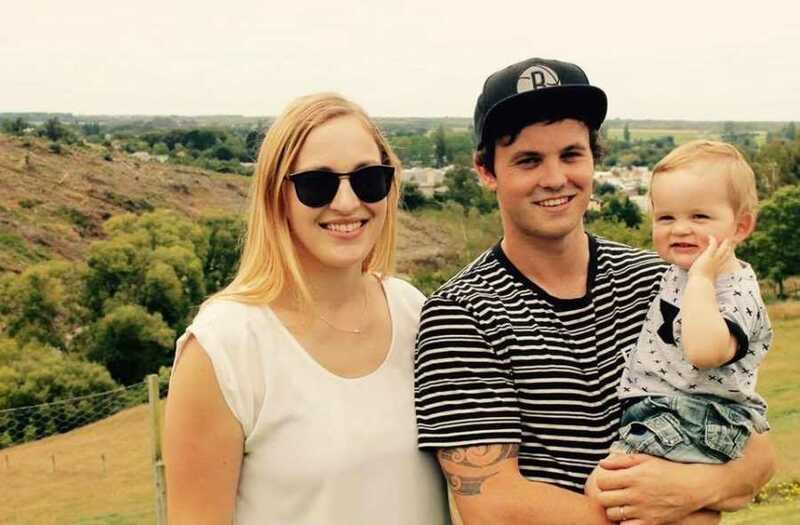 This story was submitted to Love What Matters by Kendall MacDonald of New Zealand. You can follow their journey on Instagram. Do you have a similar experience? We’d like to hear your important journey. Submit your own story here, and subscribe to our best stories in our free newsletter here. 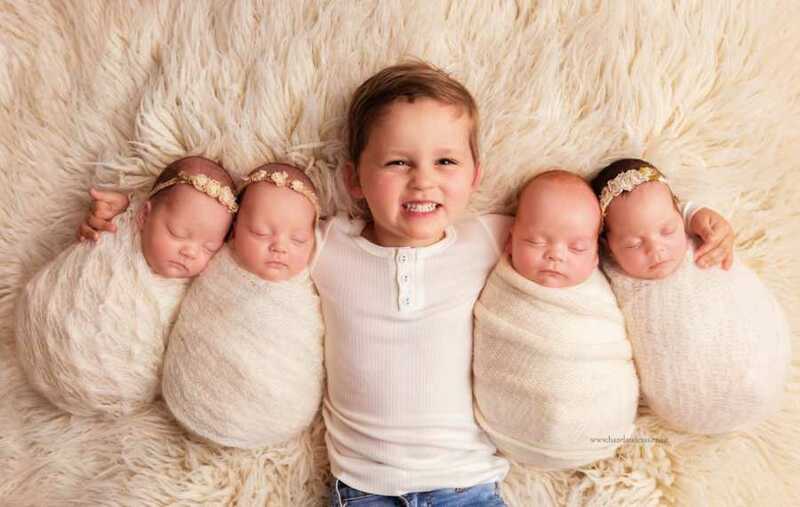 Read more beautiful stories of quadruplets!